As discussed in ‘how myopia happens‘, most myopia symptoms are actually a sign of a healthy eye – which is merely adjusting to strain. 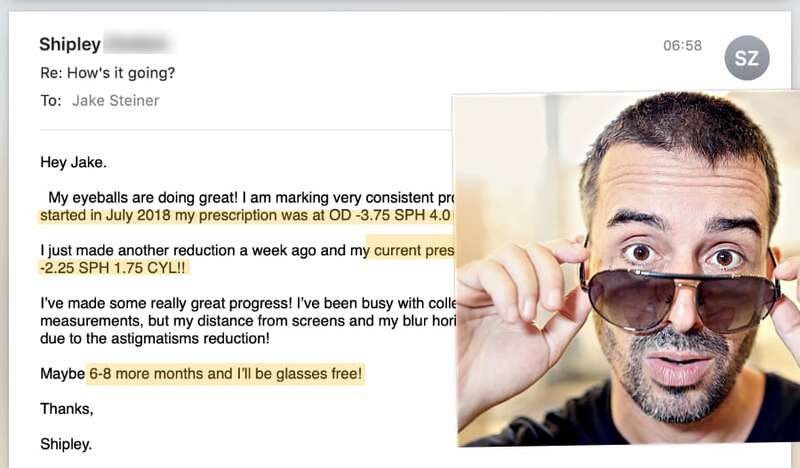 While ciliary myopia is the better case scenario for a myopia cure (a focusing muscle spam, often easily reversed), even axial myopia is nothing more than your eye adjusting to counter focusing muscle strain. If you remove the cause of the symptom, and add targeted positive stimulus, your healthy eyes will respond accordingly. 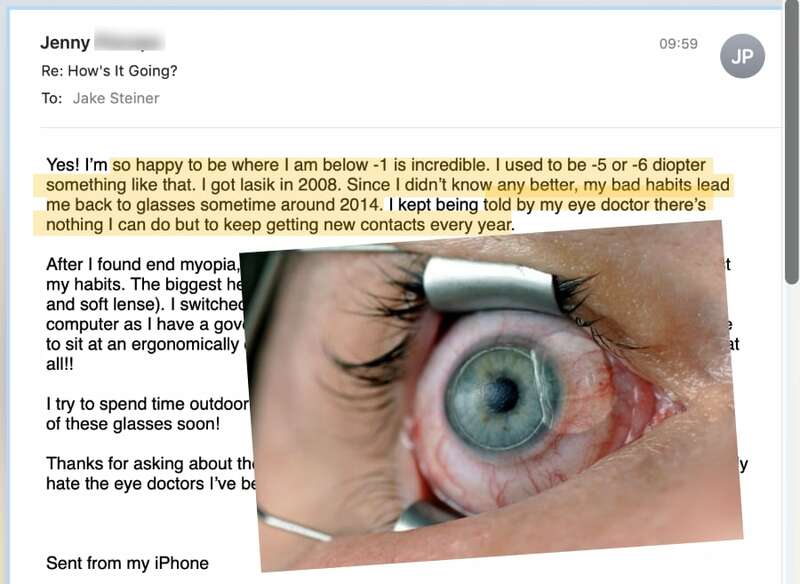 Reducing myopia is the common theme in the forum, with some very encouraging progress reports. This morning as I was taking my morning walk without my glasses, it was so beautiful and such a nice day. It seems like everything is getting clearer day by day. I began to wonder what I could read if my Snellen chart were outside in the sun. So I measured off 20 feet and taped it up to the garage door and checked my vision. 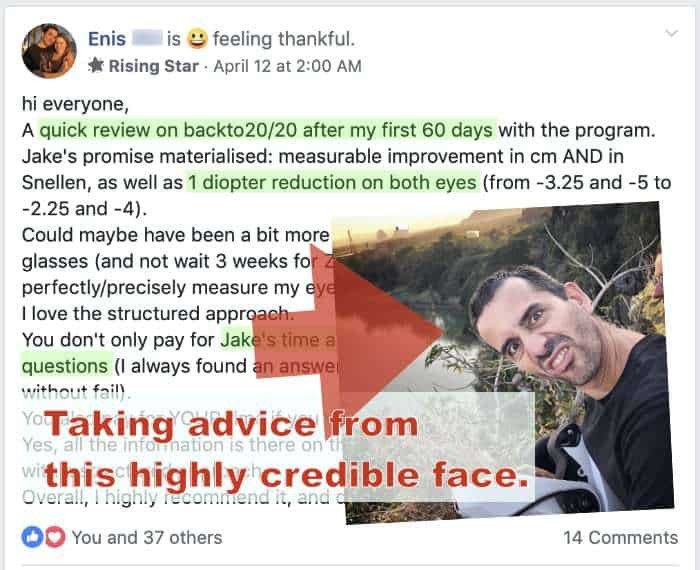 I found I could read the 20/20 line with the right eye and with both eyes together, at 20 feet without any correction! There was a little blur, but I could definitely read it. With the left eye alone, I could read 20/40, but very blurry. Everything with the left eye is still blurry, unless very close up. And just 46 days ago when I registered for the program, I was R -4.0 and L -7.25. I am very happy. 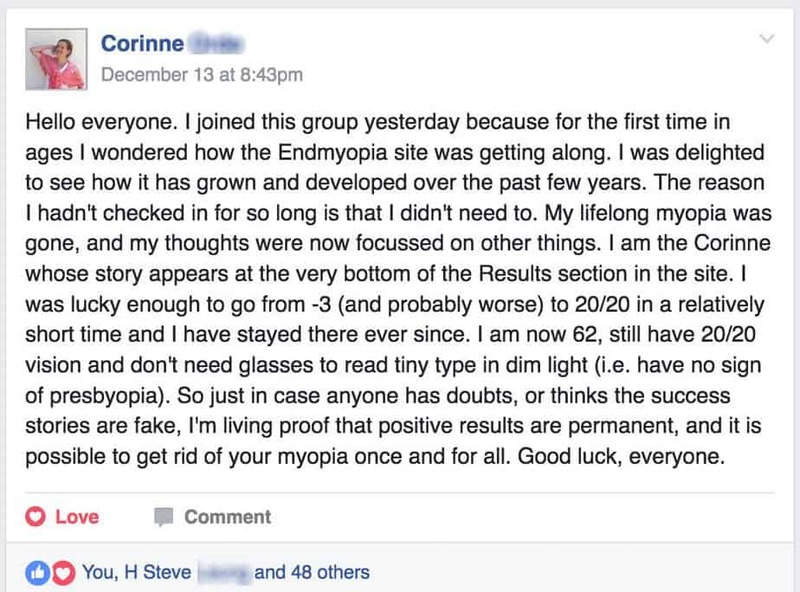 This isn’t a miraculous story of instant myopia cure. It is however, quite remarkable. 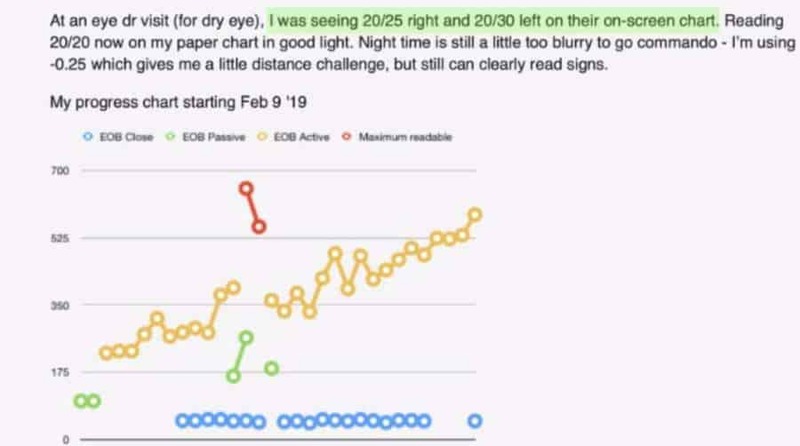 Ruth Ann had started with a prescription of -4.0 and -7.25, and can now read 20/20 on the Snellen chart, without glasses. 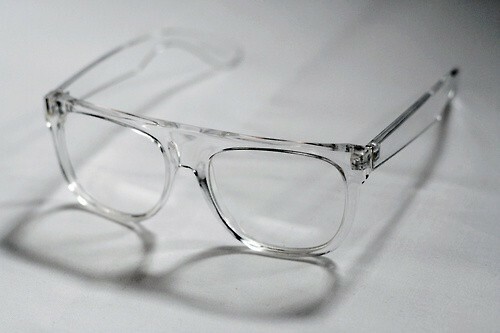 In reality, this 20/20 ability only works with good lighting, and some focusing effort. 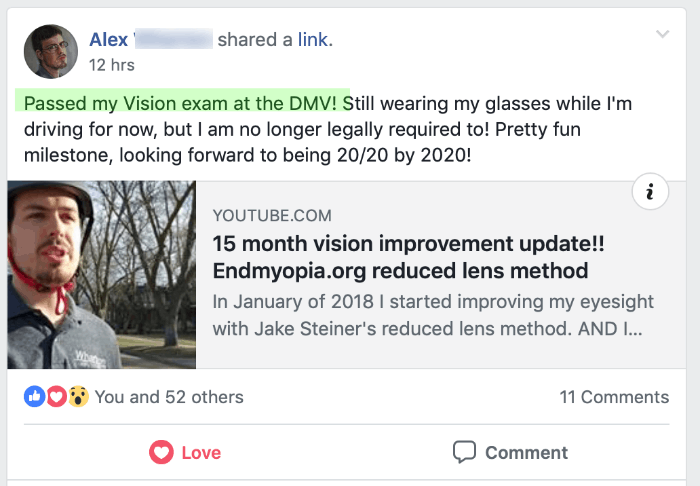 It isn’t (quite yet) a full recovery, but it should give anyone reading this the necessary motivation, to work on reducing myopia. 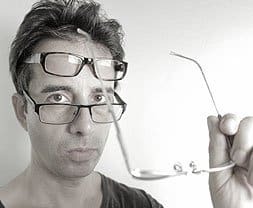 And even though it may take longer than Ruth Ann’s case, the same principles apply – healthy eyes will respond to reducing eye strain, and applying positive stimulus.